I was just marking my calendar for the Berkeley Peace Lantern Ceremony, which is held in early August to commemorate the Hiroshima atomic bombing. Attendees of the event make paper lanterns, which are sent afloat at the Berkeley Aquatic Park. There are also music and speeches, and in the past I have enjoyed attending this event. I realized as I noted the event that I had not written yet about the Aquatic Park. If you’re not familiar with Berkeley, the Aquatic Park is located in southwest Berkeley on the east side of I-80. At the north end of the Aquatic Park is the bicycle bridge, connecting to the Berkeley Marina. The Parks dept. map shows it pretty well (blue at bottom left). Because I am including paths in my walk, I have walked around the Aquatic Park on the walk/bike path. The east side is nice (but watch out for flying objects — there’s a disc golf course along this side), but the west side was not as pleasant; you are walking right next to the freeway wall with the sounds and smells of cars and trucks whizzing by. This side is really best travelled by bicycle in my opinion. On the water itself, I have seen rowing and canoeing. There is a water ski ramp, but I have not actually seen anyone using it yet. The Aquatic Park was a Works Progress Administration (WPA) project build in the 1930s; its existence was apparently threatened in 1963 when developers wanted to fill it in and make it into a business park. 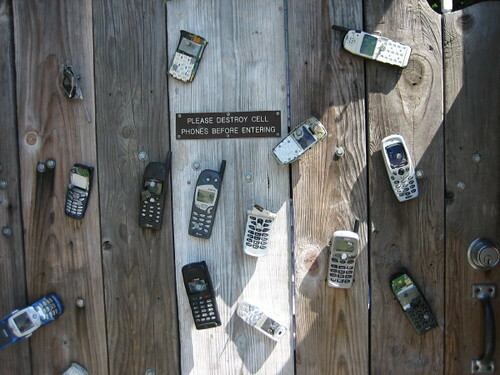 Although I like the Aquatic Park and its amenities, it seems in need of some upgrades — particularly those that would make it a bit safer. Although the park is pleasant and filled with people (joggers, dog walkers, picnickers, children, etc.) on weekends and after work, I’m not inclined to walk by myself along this path at non-busy times — especially because there seem to be shrubbery and other places where people could lurk, and I have also noted people just sitting and waiting in their cars at the south end of the park. Berkeley has big plans in place for streetscape improvements along the route from the Fourth Street shopping area and the Amtrak station to the Aquatic Park and bicycle bridge. It looks the improvements will mostly occur around the north area of the park near the bridge, but perhaps this will increase the amount of foot traffic and safety in the area a bit. Here we are at the end of May, and I don’t know how Spring passed so quickly. I had hoped to have a longer Signs of Spring series, but it will just end up being a double feature. I don’t have too much to talk about in this post; I really just wanted to share my favorite items left on the sidewalk from the traditional spring purging of the closets and basements of Berkeley. 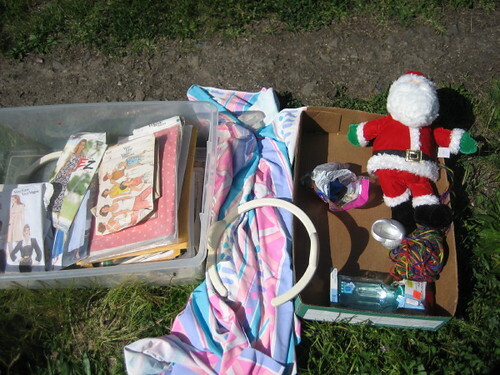 The most fascinating thing about these roadside collections is the display that goes into some of them; they are often laid out as if they were for sale in a store, rather than piled in a box for people to sort through. I was especially perplexed by the scene in the top photo. 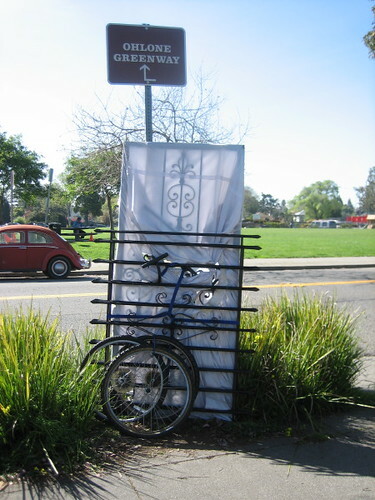 The items — three bicycle wheels, a security gate, and security window — were strapped to a dolly that had obviously been used to transport the items to its spot along the Ohlone Greenway. It almost seemed as though someone was transporting the items somewhere and had just given up. Why wouldn’t the owner have left the items and taken back the dolly? The items were there for a few more days and then disappeared. Spring cleaning blends into college classes ending, and the items left by the road have shifted a bit from small objects to larger furniture. Last year, I wondered where all of the furniture went; this year posters are up in the campus area warning people about furniture dumping. As Georgia documents on Local Ecologist, the furniture is still there. The website outside.in recently published a list of the Top Ten Bloggiest Neighborhoods. No Berkeley neighborhoods on the list, but who knows — maybe someday! Around the same time that I saw this list Mark Celsor left a comment here about his Willard Park Blog started last month, described as “a place to post information about life in the neighborhoods just south of the university in Berkeley. 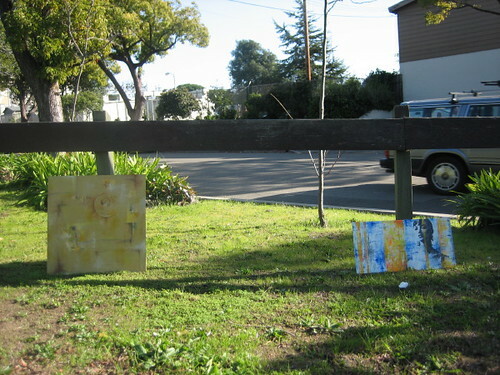 The blog takes its name from Willard Park at the corner of Derby and Hillegass, halfway between the Elmwood and Telegraph shopping districts.” Camelia Street Blog is a “neighborhood blog devoted to quality of life issues for those living and working in west Berkeley.” The long-running Scrambled Eggs & Lox blog covers the Potter Creek area of west Berkeley. It’s been awhile since I’ve heard about any other every-street walkers, so it was fun to find out about this guy who walked every street in Manhattan in under 3 months. Thanks to Gary at Runs Brooklyn for letting me know about this site! Many of you have commented or sent notes about the photos on my blog, some of which are taken by Joe Reifer. If you’re in the Bay area and want to check out some more of his work, there will be an opening for his show this Friday (along with photographer Troy Paiva) at the Lucky Juju Pinball Gallery in Alameda. For a car-free trip from Berkeley, take BART to 12th Street Oakland and connect to AC Transit Bus 51, which has a drop off right by Lucky Juju (Santa Clara St.) and runs every 10-20 minutes. 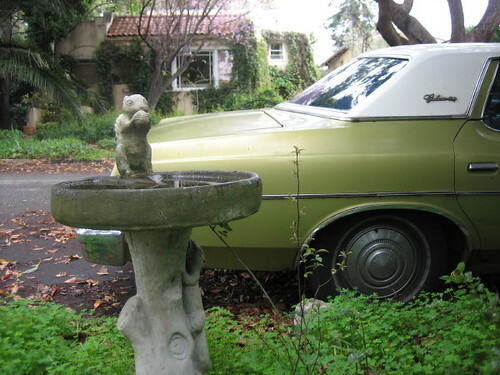 And speaking of Alameda, I have always thought this would be a great city for walking every street: it’s an island, it has lots of interesting houses and buildings, and a closed naval air station that has lots of redevelopment projects in process.